Bobo the chimp is back in this perfect picture book for every little monkey that doesn't want to go to bed yet! From the award-winning creator of Hug, Tall and Yes comes another classic picture book for the very youngest children. Using only a handful of words, Jez Alborough skilfully tells the bedtime tale of Bobo the chimp. The sun is still up and this little chimp wants to play with his jungle friends, but then the sun goes down and he's all alone… The perfect bedtime read for every playful little monkey! 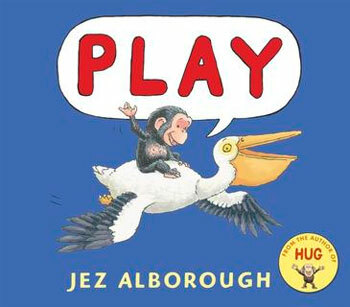 Jez Alborough is a hugely popular, award-winning author and illustrator of books for children, well-known for his stories about Bobo the chimp, star of Hug, Tall and Yes, as well as his tales about Eddy and the Bear, which inspired a BAFTA-winning animated TV series. He lives in Richmond, Surrey.